As mentioned in Chapter 9, an ideal protein is the profile of amino acids that would be perfectly in 'harmony' with the pig's requirement that is a perfect balance. After Dr H.H. Michell at the University of Illinois developed the concept of ideal protein in the 1930s, there has been a large amount of research done to identify ideal protein in swine diets. The concept of ideal protein for lactating sows was understood and established more recently than those for pigs in other stages of life. Nutritional and physiological complexity may have contributed to the lack of research data and delayed identifying an ideal protein for lactating sow«. A more comprehensive ideal amino acid pattern for lactating sows was suggested in the recent publication by NRC (1998). The NRC recommendation for ideal protein was established mainly based on four sets of data (Monegue et ai, 1993; Pettigrew, 1993; Boyd et ai, 1995; Richert et ai, 1996) considering amino acid needs for maintenance, milk production and contributions from the sow's body. The ideal dietary amino acid pattern for lactating sows from the NRC (1998) is a fixed, single amino acid profile. Recent research from the University of Illinois introduces a new concept of ideal protein, the so-called 'Dynamic Ideal Protein' for lactating sows that reflects changes in limiting order of essential amino acids. Kim et al. (2001b) identified an ideal dietary amino acid pattern for lactating sows with the concept that different amino acid patterns among tissue protein, milk protein and dietary protein would affect the ideal amino acid pattern during lactation. As it is shown in Table 12.7, the content of some essential amino acids in milk protein is relatively higher than those in amino acids from tissue mobilization and in a common maize-soybean meal-based diet. 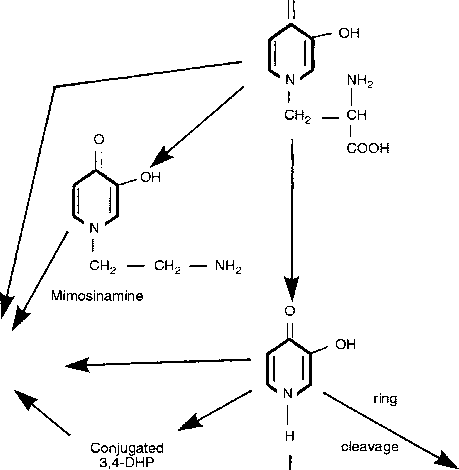 Amino acids needed for mammary gland growth would also affect the ideal dietary amino acid pattern. Considering these factors, the ideal dietary amino acid patterns for lactating sows are 'dynamic' responding to the expected maternal protein loss during lactation (Table 12.8). The body condition and expected level of amino acid mobilization are important factors that must be considered in designing diets for lactating sows. The application of the Dynamic Ideal Protein concept would allow a more precise estimation of amino acid needs for lactating sows. For sows possessing a low voluntary feed intake and substantial tissue mobilization during lactation, threonine is a critical amino acid, whereas valine becomes increasingly important for sows having a high feed intake and limited tissue mobilization during lactation (Kim et ai, 2001b). However, lysine is the primary limiting amino acid in both cases. To apply the dynamic ideal protein pattern and the order of limiting amino acids, lactation diets can be designed for individual cases based on the expected mobilization levels of sows during lactation. aNumbers are relative ratios to lysine. bRelative ratio from the summation of each essential amino acid mobilized from carcass, gastrointestinal tract, liver, reproductive tract and other vi SOS TSL, cAdapted and modified from King etal. (1993). dAdaptedfrom Kim etal. (1999a). 8Amino acid ratio relative to lysine that is provided in a conventional maize-soybean meal diet (711 g kg 1 maize and 228 g kg 1 soybean meal containing 170 g kg 1 CP and 8.7 g kg 1 lysine) based on true ileal amino acid digestibility values for lactating sows (Stein etal., 1999, 2001). Table 12.8. Ideal dietary amino acid patterns and the order of limiting amino acids for lactating sows. aldeal amino acid pattern from NRC (1998) does not respond to the level of tissue mobilization. b100% level means when about 50% of amino acids in milk were quantitatively equivalent to the amount of amino acids from tissue protein mobilization. 0 Based on assumption that sows were provided maize (710 g kg 1) and soybean meal (230 g kg 1) based diet.